You have probably reached the stage when it is required to write a long paper called Master Thesis, haven’t you? Such a paper requires a lot of research and a strong thesis. It is quite different from Bachelor papers as the latter ones are significantly easier. In the following guide we will go through the process of writing a Master thesis. A Master Thesis is a written assignment which you have to produce at the end of your Master studies. Depending on the particular academic field, university, as well as supervisor, Master theses can be of different length and cover various topics. A Thesis in Social sciences will contain more references to ideas and conceptions, whereas a Thesis in Physics will present more experimental data. A Thesis in Social sciences will contain more references to ideas and conceptions, whereas a Thesis in Physics will present more experimental data. The difference between a Master and a Diploma (Bachelor) Paper is huge. In the first case you have to deal with a big number of researchers and theories. In the second case you have to write less and research less. In many cases the length also varies - a Master Thesis could be, let’s say, sixty-pages long. Theses in the field of Natural sciences will contain even more pages because various results should be presented in tables and diagrams. A well-formulated topic is the key to effective Master Thesis writing. It is advisable to continue working on your Diploma Paper - you can take one topic or idea form there, and then examine it more closely. Another possibility is to focus your research on a topic which stands near to the one examined by you previously, but it is not entirely the same. Remember that you should not write one and the same paper two times. The difference is not in the length but in the quality! The scope of the work is clearly specified: it will concern adults who learn foreign languages, and will put emphasis on the psychological factors for its improvement. The preparation for writing your Thesis should start as early as possible, preferably in the beginning of your Master studies. Probably you have been enrolled after defending a theoretical conception related to your Master work - then it won’t be hard to elaborate the framework of your Thesis. If this is not the case, then it is better to choose a professor who will be your supervisor. They will recommend you a topic and literature related to it. In Social sciences - gathering ideas, conceptions, insights regarding a particular issue. In Natural sciences - elaborating a theoretical framework for experimentation and/or observation, and carrying out the experiment/observation. In both cases you need to work with academic literature. You should browse various online databases for titles related to your topic. The best approach is to search keywords; for example: “language learning.” Once you have collected thirty titles, you can check their abstracts. Choose only the papers or books which are directly related to your research problem. By collecting information and writing down your own ideas you will easily formulate a theoretical framework. Do not forget, however, that you are required not merely to present the ideas of other researchers, but rather build upon these ideas. You have to offer something new or at least make a contribution to your academic field. A master thesis outline contains all of your central ideas. It contains the scope of your research, key words, thesis, arguments in support of the thesis, methods, expected results, and others. In Natural sciences it also contains detailed information about the planned experiment. 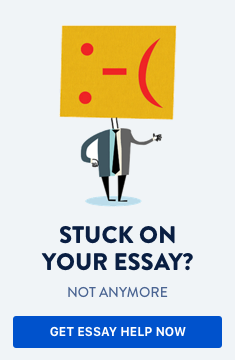 You should know that an outline can be changed or modified before starting to write your Thesis. For example, if you conduct your preliminary research in January and February, you can modify your outline according to up-to-date information you have gathered. Then in March you can start writing the paper itself. Not that changing the outline is not allowed; the most important thing is not to change your thesis as well as the arguments supporting it. It must be formulated positively - to say what the entity A is, and not what A is not. It must be maximum three sentences long; the whole thesis not longer than five lines. It should concern a given regularity regarding a certain entity, process, etc. Regularity is every causal relation between two objects, and it is to be proved by your observation, experimentation, or another method of research. Derive your arguments either directly or indirectly. In the former case, this happens by observation, experiment, etc. In the latter case you will find the basis for your arguments in given monographs or articles in academic (peer-reviewed) journals. Choose three central arguments and elucidate them. More arguments will make your text confusing - the reader should know what is your central point to be proved. Quote carefully - if you borrow someone else’s ideas, always refer to the particular text where they are exposed. Avoid moralistic definitions regarding scientific ideas. Science is not about whether a given process is good or bad but how it happens and what are its causes. Citation is part of every academic paper. You should quote assertions of other researchers in order to prove or repudiate them. Do not quote excessively - the reader is interested in your own ideas, and not in someone else’s theses. We advise you to use rather short quotes in your Master's thesis paper (not more than three or four lines long) and only in relevance to the idea you want to present. Do not quote merely for making the text longer! Depending on your academic style of reference, there are strict rules to be followed when you format your bibliography. Graham, S. (1997). Effective language learning: Positive strategies for advanced level language learning. Clevedon: Multilingual Matters Ltd.
Graham, Suzanne. Effective Language Learning: Positive Strategies for Advanced Level Language Learning. Clevedon: Multilingual Matters Ltd, 1997. Your instructor could also recommend some other style, so make sure you know their requirements. Once you have written the draft, revise it carefully. Check for consistency of the theses and arguments; double-check the quotes used; revise the style as well as grammar, if needed, Probably you will need a whole week for revising, thus you should keep in mind you will need more time for completing your task.